Mr Din, who was sacked in 2012, has joined hands with the Popular Congress -- a breakaway group from the ruling National Congress Party (NCP) that was founded by the late Hassan al-Turabi -- the Communist Party, and a host of professionals and civil society to push for civil disobedience. The government responded by arresting Mr Din's close aide Mahmoud al-Jamel as the protests, which started last December over the high prices of essential commodities such as fuel and bread, have now spread to Darfur in the west, and to the north. On January 2, the Sudan Call, the Sudanese Professional Association, and the opposition groups -- including the National Consensus Alliance -- and the Unionists, asked President Bashir to step down or they would organise to press for the removal of his regime. More than 40 people have already been killed in the protests, which the opposition says has spread to six other towns -- al-Qadarif, Atbara, Port Sudan, al-Dueim, Omdurman and Al-Ubayyid. The Troika -- the US, UK and Norway -- has issued a warning that if Sudan does not release political detainees and rights activists arrested during the recent protests, it would impact their future relations with Khartoum. 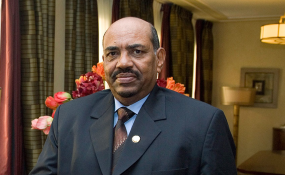 "Without meaningful domestic, regional and international efforts to facilitate a credible, all-inclusive conference that leads to a fresh political transition, Sudan could move towards a tipping point," he said.